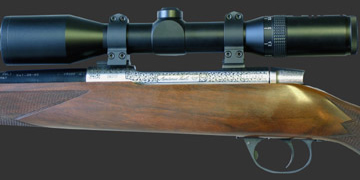 Antonio Zoli big game hunting rifle. a superb accuracy and a very good value for years. - Receiver made from solid steel bar forged, with integral recoil lug. - The manipulation of the bolt is incredibly smooth. - Cold forged barrel made with the best steel available on the market. - Free floating barrel for superb accuracy shot after shot. - Old grey finish on the receiver with fine hand engraving. Rose wood for end and handle tip. 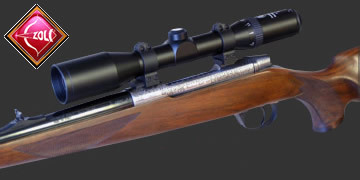 - Special design for the bolt handle to allow an ultra-low mounting of the riflescope. - No plastic parts, only Steel and Wood, beautiful craftsmanship. unbeatable price for this quality. Last minute ! 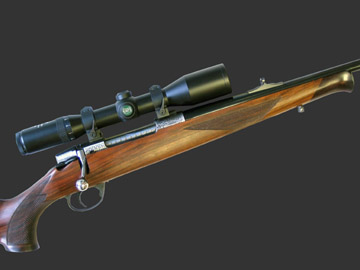 Zoli Kronos sporting shotgun available in Canada ! Boss lock, detachable trigger,Titane Briley Chokes,adjustable stock.incredible price for this quality. Call ! Ultra lux model with Five stars wood, in stock !!! or come to the store, those rifles are in stock..